My friends have gotten so used to me testing driving alternative powered cars these days, they don't react when I show up in a hybrid, plug-in hybrid or all-electric vehicle. But they were all genuinely surprised when I told them the 2018 Chevy Cruze Hatch was a diesel. Apparently because of all the bad press about Volkswagen's emission cheating scandal, many people think nobody's making diesel engines anymore. Fortunately, that's not true. They are still offered in most big trucks because of their superior towing power. 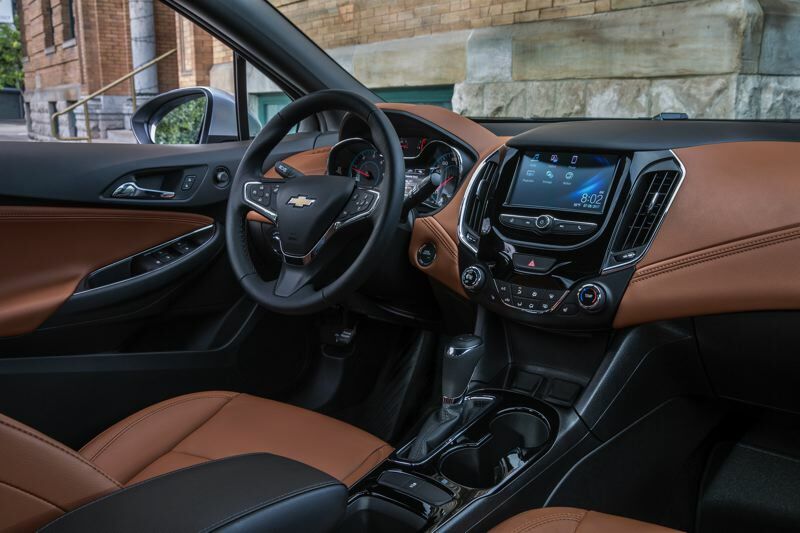 And Chevy is offering diesels in two smaller vehicles — a turbocharged 2.8-liter inline 4 in its midsize Colorado pickup, and a turbocharged 1.6-liter inline 4 in the compact Equinox crossover, and in both the sedan and hatchback version of its compact Cruze. The Cruze sedan diesel has been on sale since February and the hatchback is now available in showrooms. Smart buyers who want high mileage and good power should check them out. The Cruze Hatch Diesel — the subject of this week's review — is EPA rated at up to 52 miles per gallon with the six-speed manual transmision, making it the highest mileage non-hybrid vehice for sale today. As an aside, when equipped with the same engine, the Equinox is rated at aup to an impressive 39 miles per gallon. And the EPA says the Colorado gets up to 29 miles per gallon, which is great for any truck these days. 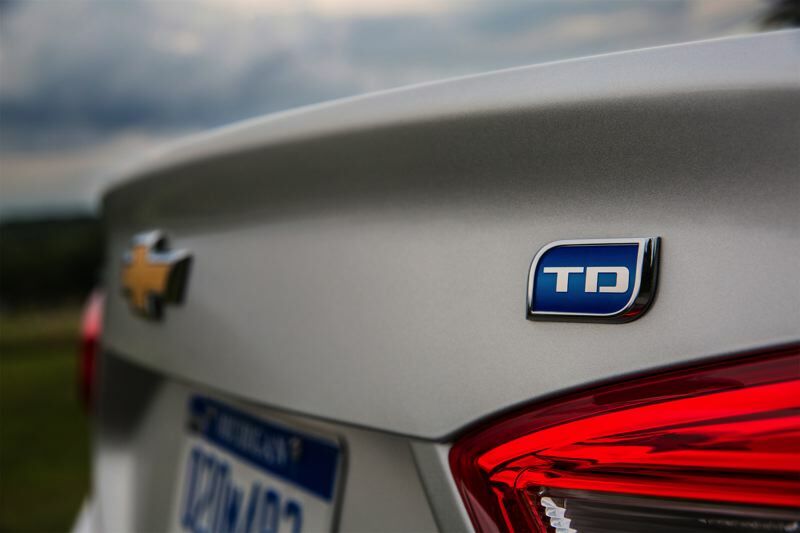 Equally important for those concerned about the environment, Chevy's small turbodiesels are designed to use the exhaust additive that reduces nitrous oxide emissions below US EPA limits. That's what Volkswagen didn't do with its versions, prompting them to install illegal software to beat emission tests. Chevy is smart enough to realize that diesel owners don't regard the occasional additive refills as a deal killer. In fact, most diesel owners embrace their funk factor — including the short pause before they start while the glow plugs warm up and the gentle rumble under the hood. Long gone is the smoke and smell of early diesel engines. 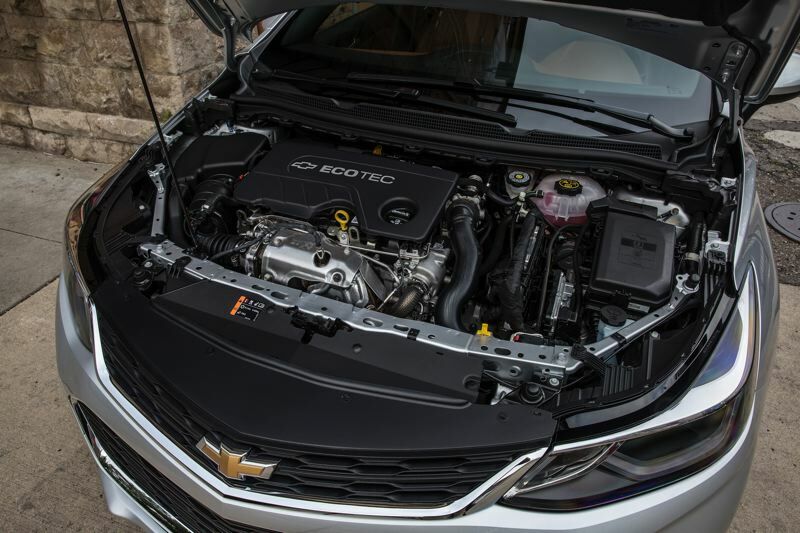 Even a short drive in the Cruze Hatch Diesel is enough to demonstrate the other big reason diesel engines should still be considered in small cars. Put simply, it's fun to drive, even with the optional nine-speed automatic transmission instead of the six-speed manual. The reason is the secret behind the towing power of diesel engines. Put simply, they produce much more torque than gas engines, which is what makes them so good for carrying or towing heavy loads in big trucks. In a small vehicle, like the Cruze, it improve sacceleration over gas engines of the same or similar sizes, even when they are turbocharged. And the torque is not only readily available at dead stops but when speeding up on freeways to pass slower traffic. 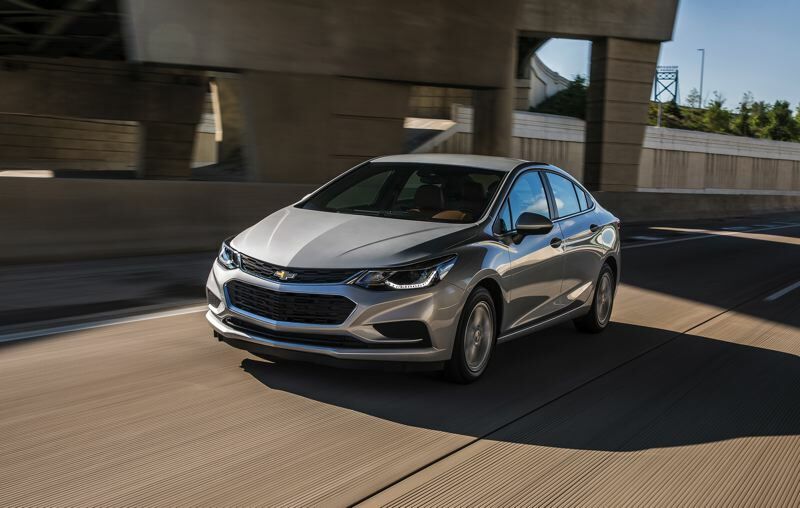 In fact, the 2018 Cruze Hatch Diesel is so peppy, Chevy is offering it with the RS package that includes a sport-tuned suspension, 18-inch wheels, and a sport body kit with a rear spoiler. Although my test version was closer to the base model, it was still enjoyable. The Cruze is a well designed, comfortable compact that handles well enough with base suspension. The exterior styling is sharply chiseled, especially the hatchback version that improves its practicality. The interior is clean and simple, and even the base cloth seats felt strong enough to hold up well over time. The 2018 Chevy Cruze Hatch Diesel should just now be reaching showrooms. The starting price is $24,670 including $875 destination charge. A sedan version will be released later this year.